It’s one of those things that in my mind was something people USED to eat. You know, back in the day. But, certainly not NOW. With all the yummy things we have to eat now, why would you eat corned beef? I’ve also learned that it depends on where you live. In Detroit, for instance, and I’m sure in other places, there are many restaurants around claiming to have the most delicious corned beef sandwich. Enough that it must be a thing. Must be something that people are looking for. But, this year I wanted to do something traditional for St. Patrick’s Day. So when I saw the corned beef brisket at the store, staring at me, I decided to give it a try. This recipe is very simple. Throw some basic ingredients in a crock pot, and in 8 hours your house smells fantastic and you’ve got a whole bunch of num. Now, one of the best things about this recipe is how versatile it is. You can serve it sliced with potatoes and cabbage or on a sandwich, or you can shred it and place it is any number of dishes (some of which I have attempted and HIGHLY recommend like the Corned Beef Hash). Since making this the first time, we have made it several other times and still love it’s simplicity and deliciousness. Every year I try to find new ways to use the leftovers, but that tends to backfire and cause me to make more corned beef causing more leftovers. Layer 1/2 of chopped veggies in bottom of slow cooker. Place corned beef on top with fat cap up. Add remaining veggies and garlic on top and around the sides of the meat. In a bowl, mix beef broth, tomato paste, Worcestershire sauce, brown sugar and red pepper - pour over beef. Cook on low for about 8 hours. It's done when it will come apart easily. 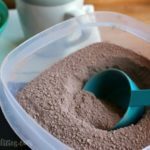 Shred with forks and do all sorts of delicious things with it! These sliders are so amazingly delicious! Shredded corned beef with swiss cheese and homemade thousand island dressing all on a pretzel slider bun!! 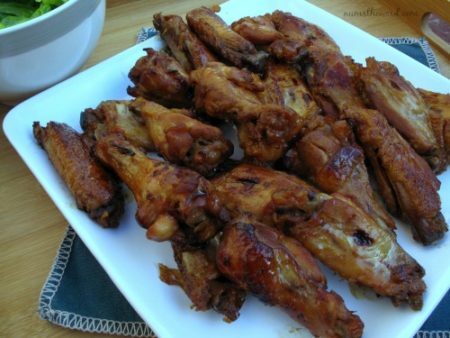 These hot wings are super tasty and super yummy – but the best part is they are made in the crockpot! Your corned beef looks great. I too love preparing mine in the crock-pot. Thanks for sharing at Wonderful Wednesday blog hop. I pinned your DELICIOUS LOOKING corned beef. Thanks Diane! Glad to share! It’s my favorite kind of meal – simple, delicious, and makes lots for a variety of yummy leftovers! How much red pepper are you using? Dawn, the recipe doesn’t call for any red pepper, but for 1/2 tablespoon black pepper. Are you maybe thinking of another recipe? I’d love to help if I can! Dawn, I am so sorry. I didn’t even see the mention of the red pepper when I looked the other day. But I was making it today and saw the red pepper in the instructions. I am so sorry. There should be just a dash of red pepper flakes added to the liquid before pouring over. I’ve changed the recipe to reflect that. I’ve used this same recipe in both a 4qt and a 6.5qt crock pot, and had it turn out perfectly. Do you serve this with anything else on the side, other than the veggies? Should I have bread or something with it? Never had corned beef, but wanting to make it for my hubby! We’ve done a couple things with this recipe, but if you’re planning on this as the main dish, veggies and bread would be great. We’ve got several recipes that would be great with it, like these Pretzel Breadsticks or these easy Cheddar Garlic Biscuits. Yum, yum, yum. 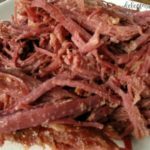 We are not fans of cabbage, so I was excited when I finally found a recipe for corned beef without it. This recipe was delicious! Thank you! Jessica, so glad you liked it! 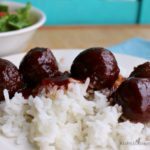 It’s one of our favorite crockpot recipes and there’s so much you can do with it! I would love to try this recipe, I would like to add rose potatoes and cabbage, what would I need to do? Sharon, The beef doesn’t shrink too much. 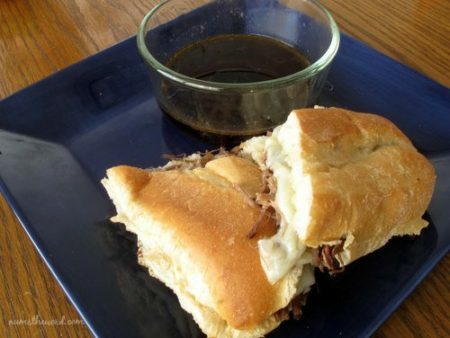 I used about a 3.5 pound roast and got about 3-4 cups of shredded beef that I used for several of our recipes, so I’m not sure exactly how much I would plan per person as a main dish. I would say it would serve 4 with some leftovers. Hope that helps! Did you add the spice packet that comes with the corned beef? Colleen, I did not use the spice packet with this recipe. Did you use the spice packet that comes with the corned beef? could I cook potatoes in this also or should I add more liquid? Jacquie, I’ve never tried adding potatoes to this recipe. If you wanted to try I would probably add more liquid, maybe 1 cup more of broth depending on how many potatoes you’re using. Hope it turns out! Would like to make this tonight… Is there a quicker stove top option you would recommend? You could even use the ingredients in this recipe instead of just water, and skip the glaze part. Good luck! SUPER GOOD RECIPE!! 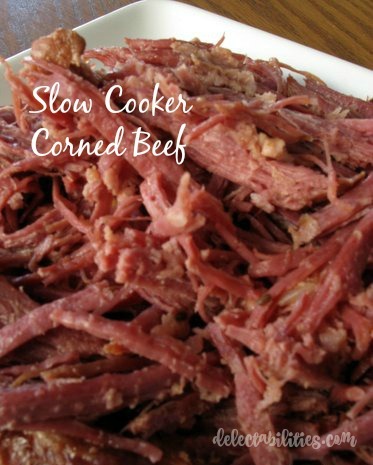 Very quick and simple and the corned beef is tasty and tender. 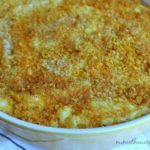 Will definitely use this recipe again and again! Thanks Marci, I’m so glad you liked it as much as I do! This is absolutely wonderful. It has a wonderful flavor. I made it for a party. We made Ruben sliders with sourkraut, Swiss cheese and thousand island dressing. My guests ate all of it! Deanna! 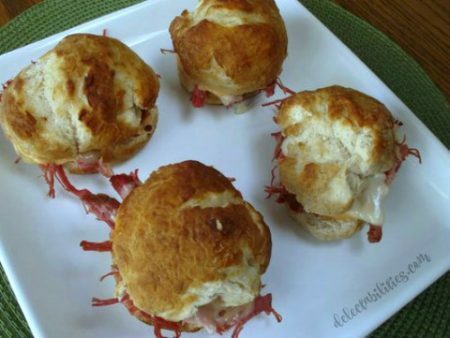 I love the idea of reuben sliders! So glad to hear that you loved this recipe as I agree, it’s a keeper for sure! Thank you so much for your wonderful comments! Hi i wanna make 2 ,,,can i put them both in the crock pot togather? Hi Maria! yes you can – IF – your crock pot is big enough to hold 2. I hope you like it. 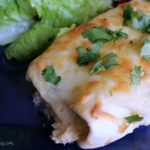 I made this recipe last year and my husband LOVED it! Hi Heather! Yes of course! As long as your crock pot will fit it all in there it should work fine! I’m so glad to hear that this is a repeat recipe for you! We love repeat visitors!